Having consolidated its spirits operations into one company, UB Group is looking to build on its position of strength in the Indian market and establish itself internationally. Euromonitor International assesses the company's ambitious expansion plans. UB Group's US$354m acquisition of rival Shaw Wallace last year and the decision to consolidate all its spirits operations into one unit called United Spirits has created a spirits powerhouse in India. And the objective is to build further from that position of considerable strength, not only in the domestic market but also internationally. 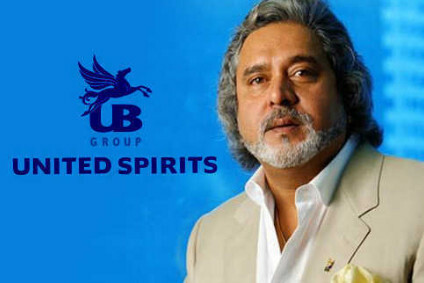 The consolidation has seen the creation of a single spirits company with 140 brands spanning all price points, giving United a 53% share of the 95m case spirits market in India, although its sales outside India are currently negligible. In India, United is set to gain stronger pricing and distribution muscle, leading to higher margins, as distributors who tended to play UB Group against Shaw Wallace for higher margins can no longer do so. The expanded company has a pan-national distribution reach and 75 production facilities in total, with a presence in every major state in India, giving it considerable logistics, sourcing and tax planning synergies. However, despite being a volume giant, with sales in 2004 of 49.7m litres making it the fifth biggest volume spirits producer in the world, in turnover terms, United remains a relative pygmy, with value sales of only US$568m. As the company looks to enter the international stage, the comparison with global market leader Diageo is telling. Diageo's spirits volumes are less than double those of United, but its estimated net sales from spirits alone were US$10.7bn in fiscal 2005. Even with the enhanced margins and profits derived from domestic strength, United is in a different league financially from its fellow global giants. Moreover, in spite of its strong presence, United faces challenges in its domestic market too. In key product segments where it dominates, Euromonitor International forecasts that growth rates are set to slow between 2005 and 2010. Local Indian whisky is expected to slow to 4.4% average annual growth during this forecast period, in comparison with 7.5% volume growth per year between 2000 and 2005, while locally produced brandy and rum are expected to see similar trends. Given the scale of the market, this will still imply large volume increases but will mean diminishing value returns, with spirit value sales expected to increase on average by only 3.1% per year. Intense price pressure, coupled with competition from wines and RTDs, will also limit optimal value gains. To carry on growing volume and particularly to drive value sales, United needs to expand its portfolio which is currently largely limited to local spirits, and with this in mind, the company has been seeking out acquisitions and partnerships in wine and spirits to access premium markets both at home and abroad. Having formed links with a consortium of banks, UB Group, led by the charismatic Indian magnate Dr Vijay Mallya, is thought to have EUR500m (US$641m) of bank finance in place to fund acquisitions, and is also considering a US$150-200m foreign currency convertible bond issue. The group could also fund acquisitions partly through internal resources. Ironically given its chosen name, the small but growing Indian wine sector offers United a chance of both strong volume and value growth. Euromonitor International forecasts that the 0.5m case sector is expected to grow by nearly 13% per year in both volume and value terms between 2005 and 2010. Significantly, this means that wine, with an average unit price of Rs970 (US$21.10) per litre, will be over 50% higher in price than spirits by 2010. It is in the wine sector that United has made its first major overseas foray, first attempting to buy the Champagne house Taittinger and then successfully acquiring the established Loire sparkling wine producer Bouvet-Ladubay for a reported EUR15m (US$19.1m) in May 2006. The fact that UB Group could mount a INR30bn (US$655m) bid for Taittinger in the first place suggests that the international wines and spirits sector must now take the company's international aspirations seriously. The Bouvet acquisition will provide know-how for developing vineyards in India, and assist the company's imported wines business. In July, United announced the building of a winery and bottling plant in the state of Maharashtra. The company has also announced plans to set up a distribution network for Bouvet-Ladubay in both North America and Western Europe. UB Group already has distribution subsidiaries for its beer in the US and the UK. 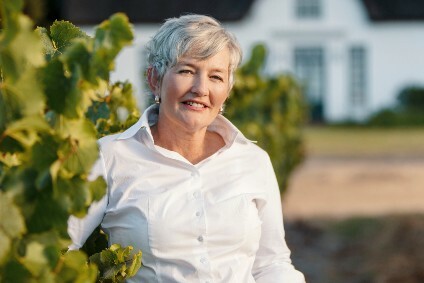 In July, Mallaya also announced plans to acquire a South African wine company, having short-listed two possible targets, again with the primary aim of importing wines into India and possibly to distribute abroad. On the spirits front, United is looking at the two-pronged strategy of driving growth in the home market through its premium brands, while also looking to develop business internationally. To this end, the company is setting up mutual distribution agreements in growth markets such as Russia and China, where the company can compete on price, while also looking to acquire its own distillery in Western Europe. In July, United signed a deal in Russia with the Standard Group, and is actively looking for a similar partner in China. Buying a distillery, ideally in Scotland, is a second and equally important part of US's international strategy, not least in its bid to build sales in Russia and China where having a blended Scotch whisky in the portfolio will be key. United has already said that it is looking at distilleries in the UK and France. Such an acquisition would enable the company to produce brands within the EU, avoiding the present high EU import tariffs, targeting Indian communities and selling at competitive prices but still achieving higher margins than in India. 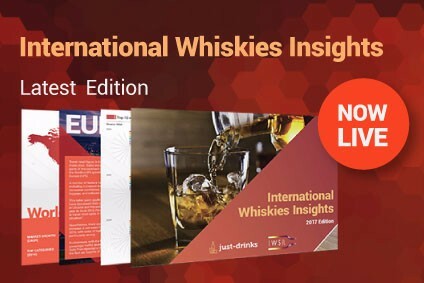 United has been linked with a move for Whyte & Mackay's Invergordon Distillers subsidiary, though so far there has been no definite confirmation of a bid. It has been suggested that Invergordon's profile, with its emphasis on private label, does not quite match UB Group's criteria, but the speculation has continued. UB Group has also looked to revive links Whyte & Mackay had with Shaw Wallace, with a view to importing its brands into India. The acquisition of a Scotch whisky distillery forms part of an ambitious expansion strategy at United which undoubtedly makes the company one to watch for the future. Given its strong position in India, seen as an important development market by international spirits groups, and the moves it has so far made in its bid grow a premium portfolio through acquisition, Euromonitor International believes the company is well placed to achieve its objectives.